I walked into my local op shop on half-price electrical day. I was unenthusiastic, as I never buy electrical items in op shops. But then I spotted this cute little brass Lampbase. For $4.50, I was SOLD! 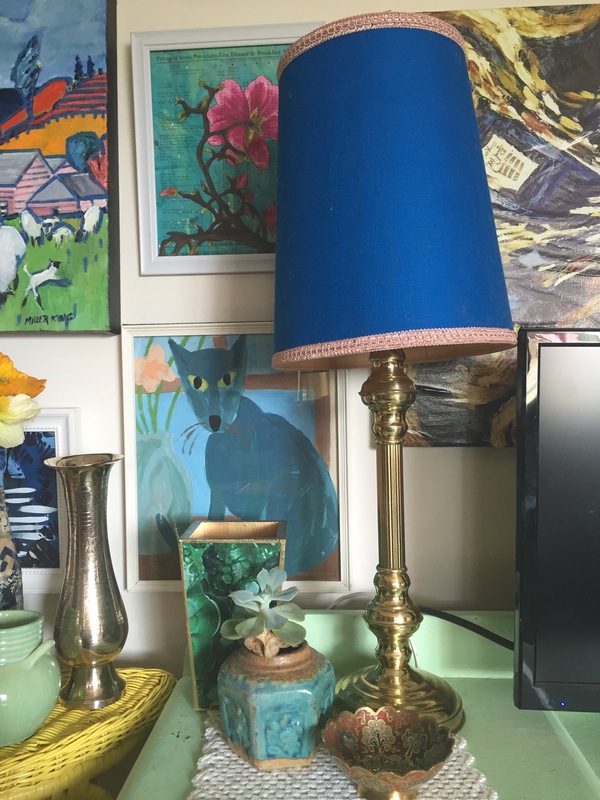 I love it with my previously thrifted lampshade….even though it still is slightly wonky!!! 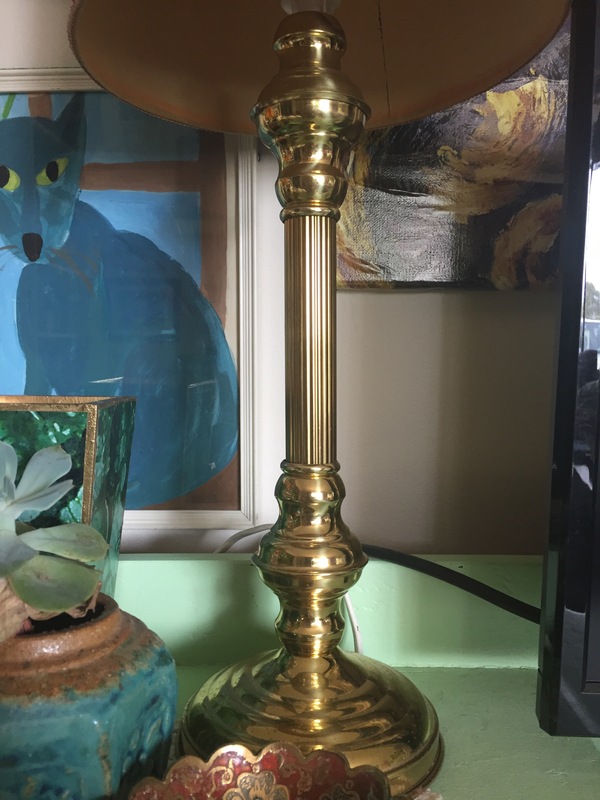 This entry was posted in Decorating, Op Shopping and tagged brass, brass decor, Lamp, lamp base, lampshade, op shop, op shopping, thrifted, thrifting, vintage. Bookmark the permalink.